ATLANTA - Thirteen student-athletes, all high school standouts, have signed National Letters of Intent to play baseball at Georgia Tech next year, head coach Danny Hall announced on Nov. 15. The recruiting class, assembled under the direction of assistant coach/recruiting coordinator Josh Holliday along with associate head coach Bobby Moranda, includes six pitchers, four infielders, two outfielders and one catcher. Five of Tech's 13 high school recruits are ranked among the top 85 high school players in the nation according to Perfect Game Crosschecker and Baseball America's Prospects Plus, the nation's leading experts on high school baseball recruiting. The recruiting class also includes the No. 1 prep recruits from Virginia, Indiana, Ohio and Colorado, as well as two of the top-six players from the state of Georgia. It includes two AFLAC All-Americans, two members of the USA Junior National Team, two players from the East Cobb Youth Baseball Program, five members of the Junior Team Georgia 2006 Summer Team, and seven pitchers that throw in excess of 90 MPH, including three that throw 94 MPH or higher. Georgia Tech's commitments include AFLAC All-America pitcher Neil Ramirez (Virginia Beach, Va. / Kempsville HS), rated as the No. 2 prep player in the nation; AFLAC All-America shortstop / pitcher Derek Dietrich (Parma, Ohio / St. Ignatius HS), the top player in Ohio; pitcher Jarrod Parker (Bluffton, Ind. / Norwell HS), the top player in the state of Indiana; catcher Cole Leonida (Aurora, Colo. / Aurora HS), the top player in Colorado; pitcher Zach Brewster (Murryville, Ga. / North Hall HS), the No. 4 player in Georgia; pitcher Deck McGuire (Richmond, Va. / Deep Run HS), the No. 4 player in Virginia; pitcher Kevin Jacob (Parkville, Md. / Parkville HS), rated the No. 4 player in Maryland; infielder / pitcher Brandon Cumpton (Evans, Ga. / Greenbrier HS), rated the No. 6 player in Georgia; along with Team Georgia members outfielder Chase Burnette (Buford, Ga. / Buford HS), outfielder Jeffrey Rowland (Evans, Ga. / Greenbrier HS), and infielder Thomas Nichols (Leesburg, Ga. / Lee Co. HS), as well as East Cobb standouts infielders Matt Simonds (Atlanta, Ga. / Pace Academy), and pitcher Taylor Wood (Suwanee, Ga. / Greater Atlanta Christian). "I think this is an outstanding group and that it's one of the best classes that we've signed in the last few years," said Georgia Tech head coach Danny Hall. "It's very deep in pitching but we feel like the position players that we have signed will certainly fill needs for us. We will be leaning on a lot of these guys to come in here and certainly play right away, and play very well right away because of the number of players that we are going to be losing either to graduation or to the pro draft this coming year." Brewster is rated the No. 46 high school prospect and the No. 74 draft prospect in the country by Perfect Game Crosschecker. He is also rated the No. 4 player in Georgia, according to the same recruiting firm, and the No. 66 prep player in the nation by Baseball America Prospects Plus. A three-year lettermen at North Hall HS under coach Trent Mongero, Brewster finished his junior season with a 5-1 record, holding a 3.47 ERA in over 38 IP. As a hitter, he holds the record for runs scored in a season (33 in 2005) and in a career (76). He has participated in the 2006 Perfect Game World Wood Bat Association World Championship, 2006 East Coast Professional Showcase, 2006 WWBA 18U/2006 Graduate National Championship, 2006 Barrett-Fletcher World Series and the 2006 Sunbelt Classic Baseball Series. Brewster was a member of the 2006 Junior Team Georgia as well as the Savannah Chain, a South Georgia summer powerhouse under the direction of former University of Georgia standout Kris Edge, and was selected to the Georgia Dugout Club's top-80 and top-20 teams. He has over a 4.0 GPA, is a member of the Beta and Spanish Clubs, and has attended the Congressional Youth Leadership Council's National Young Leaders Conference in Washington, D.C.
Danny Hall on Brewster: "Zach is a great left-handed pitcher and a very smart guy, so he's definitely a great Tech 'student-athlete'. He has a very good fastball with great movement, and throws from a sidearm slot that, I believe, will make him very tough to hit. We first saw him at our pitcher-catcher camp last December, and then we watched him again this summer with Team Georgia. He also played with the Savannah Chain, and I think he's just a tremendous left-handed pitcher that we're excited about having in the program." "Brewster verbally commits to pitch for Tech". See story from Gainesville Times. Burnette has led his Buford HS team to back-to-back State Final Four appearances and two region championships over the last two years. He hit .534 as a junior, with nine home runs and 50 RBI, and has hit over .500 all three years of his prep career. He also went 7-2 on the mound, with a 2.07 ERA in 47 IP, playing for Buford head coach Tony Wolfe. 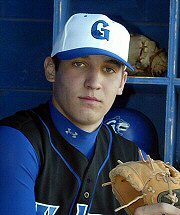 Burnette was a member of the 2006 Junior Team Georgia and has been selected to the 2005 and `06 Atlanta Journal-Constitution All-Gwinnett Team. Danny Hall on Burnette: "Chase goes to an outstanding high school in Buford High School; they've been the state champs in football on multiple occasions, and he plays on that football team, but he also led their baseball team to the state tournament. We look at him as a great athlete who can really run. He's a left-handed hitter, and in our ballpark, left-hand hitters are a premium. I think he's one of those sleeping giants in that he's played two sports throughout high school, and I think that when he settles in and just plays baseball year-around, he's going to be a great baseball player. Josh (Holliday) went up and saw him last year at Buford High and then we saw him again with Team Georgia this summer and really liked him. We just think that he's a great athlete." See stories from Gwinnett Daily Post and Gainesville Times. "Chase Burnette set to power Buford's lineup this season". See story. Rated the No. 81 high school prospect in the country according to Baseball America Prospects Plus, Cumpton is one of two players from Greenbrier High School in Evans, Ga. to sign letters of intent this week to play baseball at Tech. Under head coach Ed Williams, he hit .359 his junior season while going 14-1 on the mound with a 1.89 ERA for Greenbrier. He participated in the 2006 WWBA World Championship and the 2006 WWBA 18U/2006 Graduate National Championship and was also a member of Team Georgia at the 2006 Junior Sunbelt Classic. Cumpton, who was selected to participate in the prestigious USA Baseball Tournament of the Stars last summer in Joplin, Missouri, was a member of the Georgia Dugout Club's top-80 and top-20 teams, and has played summer ball for the Savannah Chain, under the direction of head coach Kris Edge. Danny Hall on Cumpton: "We saw Brandon Cumpton for the first time in camp last winter, and he is an outstanding pitcher that could probably come in and pitch for us right now. He throws three pitches for strikes, and he's also a very good infielder. He played on the state championship team at Greenbrier High School last year, played for Team Georgia and also played for the Savannah Chain. We are very excited to have a guy that we think will be another player that could be another two-way guy in that he could pitch and also play in the infield and hit for us." "Greenbrier senior stars bound for Georgia Tech". See story. "Brandon Cumpton: A 'Pack leader". See story. A 2006 AFLAC All-American and an honorable mention selection to the 2006 Louisville Slugger All-American Team, Dietrich is rated the No. 1 high school player in the state of Ohio, the No. 40 prep player in the nation and the No. 63 overall draft prospect according to PG Crosschecker. Baseball America Prospects Plus rated the St. Ignatius HS standout the No. 48 prep prospect after he hit .434 with 14 doubles, four home runs, 30 runs, 33 RBI and a .842 slugging percentage as a junior while earning two wins and five saves on the mound, while playing for head coach Brad Ganor. As a sophomore, he hit .494 with five home runs and 31 RBI and recorded one win and four saves. Dietrich has participated in the Northeast Top Prospect Showcase, AFLAC All-American Game, East Coast Professional Showcase, WWBA 18U/2006 Graduate National Championship, WWBA 17U/2007 Graduate National Championship and Perfect Game National Showcase, all in 2006. He was also a member of the Cincinnati Reds Scout Team that won the Perfect Game WWBA World Championships in Jupiter, Fla. and part of the USA Tournament of Stars in 2006. He is said to have the strongest infield arm in the class of 2007, according to PG Crosschecker, and comes from a family of athletes, as both his father and grandfather played professional baseball. Danny Hall on Dietrich: "An interesting thing on Derek is that his grandfather, Steve Demeter, played in the major leagues, and Steve Demeter was the regional scout for the Pittsburgh Pirates when I coached at Kent State. So I knew his grandfather long before I knew Derek, and his grandfather called me and said that he felt that his grandson was a good player, so I started doing some research on him and found that not only is he a good player, but that he's a great player. He earned national recognition on several occasions throughout the summer, and first came to campus last fall during an unofficial visit and we really enjoyed meeting him and his parents. He's kind of a throwback player in that he's a guy that has tremendous passion for baseball. He is a great teammate, and on top of that he's a great infielder. He's another left-hand hitter with tremendous power that also has a great arm, and we see him as a guy that will pick up where Wieters leaves off in that he would probably be a closer for us." "Dietrich picks Georgia Tech". See story. "Derek Dietrich lives a diamond dream: College or pros?". See story. Jacob is rated the No. 4 high school player in the state of Maryland and the No. 271 prep prospect in the nation, according to Baseball America Prospects Plus. As a junior at Parkville High School under head coach Jeff Markle, Jacob went 6-3 with a 1.02 ERA, striking out 103 while allowing just 27 hits and 10 walks. He played summer ball for head coach Larry Meekens of the Maryland Mavericks, where he went 4-3 with a 2.02 ERA. 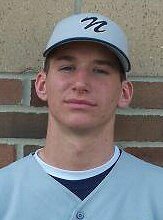 Jacob attended the 2006 WWBA 17U/2007 Graduate National Championship after earning first-team All-Baltimore County and second-team All-Metro honors by the Baltimore Sun following his junior season at Parkville. Danny Hall on Jacob: "Coach Bobby Moranda brought Kevin Jacob to our attention, and he turned out to be a prime recruit that we began following this summer. We heard that he would be pitching in the Perfect Game National Tournament here in Atlanta, and it was indicated that he was a very bright student that possibly wanted to pursue engineering. Coach Moranda saw him throw three or four times during the week, and every time he threw, he looked great. He's a big, strong right-hander that has a great fastball over 90, but also has a great slider. While he may not be as well-known as some of our other signees, we feel like he could be a very good pitcher for us." "Kevin Jacob's ladder leads to Georgia Tech". See story. Rated the top prospect in the state of Colorado and the No. 162 high school prospect in the country according to Baseball America Prospects Plus, Leonida is a three-year letter-winner under head coach Dean Adams and three-year Principal's Honor Roll student from Grandview High School in Aurora, Colo. As a junior, he hit .493 with seven home runs and 30 RBI while posting a .590 on-base percentage. He is a two-year captain at Grandview, where he has also lettered in basketball. Leonida has participated in the 2006 WWBA World Championships, 2006 South Top Prospect Showcase and the 2006 Sunshine West Showcase, where he was named to the Top Prospect Team. He was also a member of the Cincinnati Reds Scout Team that participated in the Area Code Games in Long Beach, Calif. last summer. A player with a rich baseball heritage, Leonida's uncle, Chuck Kniffin, served as the pitching coach for the Arizona Diamondbacks from 2002 to 2004 and is currently the pitching coach for the Colorado Rockies' Class AAA affiliate at Colorado Springs. Danny Hall on Leonida: "Josh and Bobby saw Cole in the Area Code games in California this summer and we started recruiting him. He has very good athletic genes in his background; his dad played at Northern Colorado. Cole is a tremendous student and a great athlete. He's got great size, he can catch and throw, and he's really a strong, physical guy at the plate. We feel like he's a guy that can come in and catch and hit for us right away, and he's a great student, so he's a tremendous fit for our program." McGuire is rated the No. 4 high school player from Virginia and the No. 202 prep player in the country according to Baseball America Prospects Plus, while PG Crosschecker has him rated the No. 6 high school player from Virginia and the No. 218 prep prospect in the nation. McGuire is a two-sport star at Deep Run High School and is the quarterback on the football team, which was 10-0 on the 2006 season entering the state playoffs. Under head baseball coach Grant Odell, he posted a 5-4 record his junior year, striking out 100 in 59.1 innings pitched while posting a 2.48 ERA. McGuire also hit .441 with six home runs and 31 RBI, earning him first-team all-state accolades. McGuire has participated in the 2006 WWBA 17U/2007 Graduate National Championships, 2005 WWBA 17U National Championship, 2006 PG National Showcase, 2006 USA Baseball Tournament of the Stars, 2006 East Coast Professional Showcase and the 2005 Commonwealth Games. Danny Hall on McGuire: "We saw Deck McGuire two summers ago in a Perfect Game tournament and again this past summer in a Perfect Game tournament here in Atlanta. He's a big guy, 6-7, and a high school quarterback that is very competitive. I think that he's another guy that, once he devotes himself to year-around baseball, the sky will be the limit for him. Deck is a very personable guy and knows Patrick Long, who is currently on our team from Virginia, and we are excited about getting him into our program." Rated the No. 277 high school recruit by Baseball America Prospects Plus, Nichols is one of seven players from the state of Georgia to sign letters of intent at Georgia Tech this week. Under head coach Rob Williams, Nichols has hit .416 with seven home runs and 56 RBI in his career at Lee County High School. As a junior, Nichols posted a .430 average with two HR and 26 RBI. He has participated in the 2006 WWBA World Championships, 2006 WWBA 18U/2006 Graduate National Championships, 2005 Atlantic Coast and 2004 National Underclass Showcase, and the 2005 WWBA 17U National Championship. A member of the Georgia Dugout Club's top-80 and top-20 teams, Nichols has also played for Team Georgia as well as the Savannah Chain where he played second base to form a double-play combination with current Yellow Jacket Jeff Ussery. Danny Hall on Nichols: "Thomas Nichols is one of the best hitters in the state of Georgia. He is a left-handed hitter from Lee County that plays in the infield, but I think could play several positions. He impressed us this summer when we saw him with Team Georgia after Josh drove down to Leesburg to see him play in the spring. He is also another member of the Savannah Chain. Every time I saw the guy play this summer, I thought that he swung that bat really well. He's another left-handed hitter that I think will be an outstanding hitter for us." "Thomas Nichols: Lee County's Ace in the hole". See story. "Thomas Nichols: Trojan Horse". See story. Parker is the top-rated high school player in Indiana and one of the top prep recruits in the country as the No. 21 high school prospect according to PG Crosschecker and No. 27 prep player by Baseball America Prospects Plus. He is also rated the No. 39 draft prospect in the nation by PG Crosschecker after turning in a 1-0 record with a 0.77 ERA and 10 strikeouts in 12 innings while playing for the U.S. National Team that finished runner-up to Korea in the World Junior Championship in Cuba. Parker helped lead his Norwell HS team, under the direction of head coach Kelby Weybright, to the state championship game during his junior season in which he posted an 8-1 record, starting 10 games and completing six with a 1.19 ERA and 93 strikeouts in 59 innings. A first team All-Conference pitcher and honorable mention for the Indiana Class 3A All-State team, Parker has participated in the 2006 East Coast Professional Showcase, 2006 WWBA 17U/2007 Graduate National Championships and the 2005 and '06 Area Code Games with the Chicago White Sox Scout Team. Last summer, he played for the Summit City Sluggers under head coach Mark Delagarza. Danny Hall on Parker: "Jarrod Parker is a right-handed pitcher from the Fort Wayne, Ind. area and is one of the best pitchers in the country, period. He is a guy that we had seen this summer here at the Perfect Game tournament and as we followed him for most of the summer, he just kept getting better and better. He was on Team USA that played in Cuba and is a guy that would come right in here and pitch in our rotation as a freshman." "Jarrod Parker picks Georgia Tech". See story. "Trouble only for hitters; Jarrod Parker cleans up act, shuts down opposition". See story. "Pitcher has an ace up his sleeve; Jarrod Parker�s arm makes him a top MLB prospect". See story. Rated the No. 2 high school player in the nation and the No. 1 prep prospect from Virginia according to PG Crosschecker, Ramirez is one of two AFLAC All-Americans to sign with Georgia Tech this season. Baseball America's Prospects Plus rates the Kempsville HS standout the No. 15 prep player in the nation after he went 4-3 in 42 innings with 67 K's and a 1.05 ERA under head coach Paul Shows. He also played 1B, SS and LF, posting a .315 average with 10 RBI during his junior campaign. Ramirez pitched for Team USA's junior national team in Cuba this past summer and has also participated in the Cal Ripken, Sr. Collegiate Baseball League, where he was named the No. 1 prospect according to Baseball America. Ramirez has also played in the 2006 AFLAC All-American Game, 2006 USA Baseball's Tournament of the Stars, 2006 East Coast Professional Showcase, 2006 and 2005 PG National Showcases, and the 2004 PG/BA World Championship. He is said to have the best combination of pitching elements of any other 2007 pitching prospect according to PG Crosschecker, and has been coached by Paul Shows. Danny Hall on Ramirez: "Neil Ramirez is another in a long line of Virginia prospects. We began following and recruiting him two summers ago when he was at the Team One Showcase here in Atlanta. He knew (Georgia Tech freshman) Patrick Long because they played together in the fall last year, and he also knew Deck McGuire. He was a member of Team USA that played in Cuba, and one of the best pitching prospects in the country, just like Jarrod Parker. We're just extremely excited about having him in our program." Rowland is one of two Greenbrier High School students to commit to Georgia Tech after he helped lead his high school team, under the direction of head coach Ed Williams, to the 2006 Class AAAA state championship as a junior. The leadoff hitter and starting centerfielder for Team Georgia and the Savannah Chain, which is coached by Kris Edge, Rowland hit .411 last season at Greenbrier, scoring 54 runs and adding seven home runs, 32 RBI and 35 stolen bases. Rowland also participated in the 2006 WWBA 18U/2006 Graduate National Championship and was named to the Georgia Dugout Club's top-80 and top-20 teams. Danny Hall on Rowland: "Jeff Rowland is a teammate of Brandon Cumpton at Greenbrier High School. He is a tremendous center fielder that has great instincts as a baseball player. He is your gutty, determined, gritty guy that is a leadoff-type hitter that can really play center field. He can swing the bat, steal bases and can really create a lot of havoc for opposing teams. He also played on the Greenbriar state championship team and is another member of the Savannah Chain, so he knows how to win. We're really excited to get him because we see him as a guy that can certainly replace Danny Payne. He probably doesn't have the power that Danny Payne has, but there are a lot of similarities in everything else that they both do." "A heavy hitter: Jeff Rowland holds his own". See story. Simonds is rated the No. 483 high school recruit in the nation according to PG Crosschecker. He hit .429 in his junior season under head coach Charlie Owens at Pace Academy, posting a .552 OBP with 4 HR, 23 RBI and 29 runs scored. Simonds has participated in the 2006 WWBA 18U/2006 and 17U/2007 Graduate National Championships, 2005 PG/BA World Championship, 2005 SE Top Prospect Showcase, 2005 WWBA 17U and 16U National Championships, 2004 Underclass World Championship, and the 2004 WWBA 15U National Championships. At the 2005 PG Southeast Underclass Showcase, the Atlanta native was rated the No. 4 prospect in attendance. He has been a participant in the prestigious East Cobb Baseball program, where he has played for Guerry Baldwin with the East Cobb Astros and Kevin Baldwin with the East Cobb Braves. He has earned Atlanta Journal-Constitution All-City honors in each of the past two seasons and was named the Pace MVP in 2006. A Pace Academy Scholar-Athlete during his junior season, Simonds was inducted into the National Honor Society in 2006. Danny Hall on Simonds: "Matt Simonds is from Pace Academy and has been in the East Cobb Baseball program for several years. He is a great student, and obviously goes to a great high school in Pace Academy. I see him as a corner guy that can really swing the bat. We first saw him in our winter camp last year and he swung the bat extremely well. He's got a great body and is going to be a very strong hitter for us and a guy that can play multiple corner positions." Rated the No. 228 prep prospect in the country by Baseball America, Wood is a standout performer at Greater Atlanta Christian School under head coach Cliff Shelton and pitching coach George Handley and is the cousin of former Yellow Jacket RHP Blake Wood. In his career at GAC, Wood has posted an 11-9 record with a 2.63 ERA and 184 K's in 141 IP, and finished in the top-three in Gwinnett County in strikeouts (102) and innings pitched (71) in 2006. Wood has participated in the 2006 WWBA World Championship, 2006 WWBA 18U/2006 Graduate National Championship, 2005 Southeast Top Prospect Showcase, 2005 WWBA 17U, 16U, and 15U National Championships and the 2004 Underclass World Championships. He led his East Cobb Astros team, under the direction of head coach Guerry Baldwin, with a 16-0 record and an ERA under 1.00 in 2005 after going 9-0 for his 15-year old squad, which was coached by Charlie Beverly. Both seasons, Wood was named the Most Valuable Pitcher for his team. 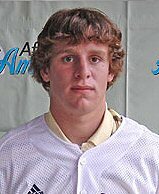 Most recently, he played for the East Cobb Yankees, under the direction of head coach James Beavers. Danny Hall on Wood: "Coach Moranda and Coach Holliday first saw Taylor Wood as a 16-year old on the East Cobb Astros team, pitching for Guerry Baldwin's team. He's a big left-hander that was one of the best pitchers, if not the best pitcher, in the East Cobb Baseball Program when he was playing for that East Cobb Astros program at the age of 16. He was hurt most of last summer but is coming on strong again. He pitched in the Perfect Game Wood Bat tournament just about a month ago and threw extremely well, and we feel like he is on the way back. He's the cousin of Blake Wood, and if he turns out to be as good as Blake, we will be extremely happy. The only difference is that he's left-handed."